Do you want to promote your support of Kansas EMS and KEMSA? It is now easier and more affordable than ever! 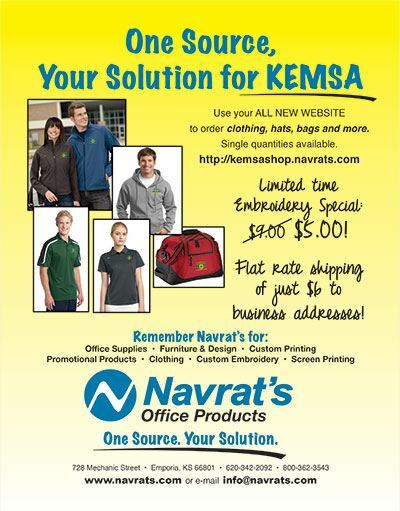 KEMSA has partnered with Navrat's, Inc. in Emporia, Kansas to provide apparel options to members at NEW DISCOUNTED PRICES! All items are on sale and embroidery has also been discounted. We have worked hard to provide you with great prices and a variety of products to fit your needs. You can order online or contact them to place an order. 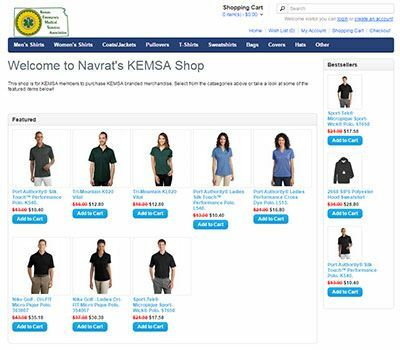 All items can be embroidered with the KEMSA logo (or you can order them without embroidery) and are shipped directly to you within 5-10 days. Shipping is a flat fee of $6 to businesses.